This week, Tonic Theatre is launching Platform, our series of new scripts for young actors, a partnership between us and Nick Hern Books; we commission the plays and they publish them. The plays have all-female or mainly-female casts and the first three titles in the series This Changes Everything by Joel Horwood, Second Person Narrative by Jemma Kennedy, and The Light Burns Blue by Silva Semerciyan are now available at a special reduced price of £3 per copy for educational and youth arts organisations and groups. Our aspiration is that the plays will be staged by schools, colleges and youth theatres right across the country. The background to Platform was a nationwide study conducted by Tonic in 2012 with the National Youth Theatre, Company of Angels and Zendeh. Having been created just a year before to drive for greater gender equality in UK theatre, Tonic was keen to understand where we could best focus our energies if we wanted to create real change across the industry. As well as initiating partnerships with some of the biggest and most influential theatres in the country through work such as our Advance programme, youth drama felt a priority area. If we could shift expectations about the role of female stories and characters in drama at the grass roots, we recognised this would – in time – impact on the work being created at professional level. This paradox – that while the majority of young people taking part in drama activity are female, the majority of roles in the scripts they are currently working with are male – wasn’t a surprise to me, having previously been a youth theatre director. What did take me aback, however, was the extent to which this impacted negatively on the experience that young women were having in youth drama. Indeed, while most of the young men involved in the research reported a brilliant snowball effect of increased confidence and self-worth as they progressed through their youth drama careers, girls tended to describe the opposite: a gradual erosion of self-belief, and a steadily diminishing sense of their right to be involved in the theatremaking process. For someone who – like most of us who work in arts education – had gone into youth theatre because I wanted to embolden young people, I found this deeply concerning. Opportunities for girls to be cast in challenging, chunky roles, rather than in the back of a crowd scene or speaking just a couple of lines, it seems were on ration. While the boys involved in the research listed reams of outstanding and varied roles they’d played term after term, this was seldom the case for the girls. Even if they did have their shot at playing a central role in their school or youth theatre, they would inevitably have to pass the baton on to another girl for the next production. What the girls seemed to be deprived of was the opportunity to gain momentum: doing a role, learning from it, doing another, learning from it, all the time being stretched, challenged and artistically emboldened. It wasn’t that there were no outstanding female roles for them to play, just simply nowhere near enough to meet the demand of all the committed and talented girls that wanted to take part. While they pointed out that they sometimes got to play fantastic roles by assuming male characters, wouldn’t it be better, they suggested, if they could play roles that were simply fantastic and female? It seemed clear to me that what was needed were more big-cast, age appropriate scripts that increased both the quantity and the quality of roles for young women to play. Beyond this, that these scripts should put girls and their stories centre stage not, as the research suggested, systematically marginalise them or cast them merely as satellites of the male characters and stories. Finally, these scripts should respond to what we learned through our research youth drama groups often find particularly helpful and exciting in scripts – flexible casting, the opportunity for every young person to have the chance to shine at some point, an openness to the writing that means the script can be performed by any group of young people, regardless of background or geographical location (the prevailing tendency for contemporary writing for young actors to be explicitly urban or London-centric was something criticised greatly in the research), an avoidance of ‘yoof’ lingo and references that date the plays overly quickly. 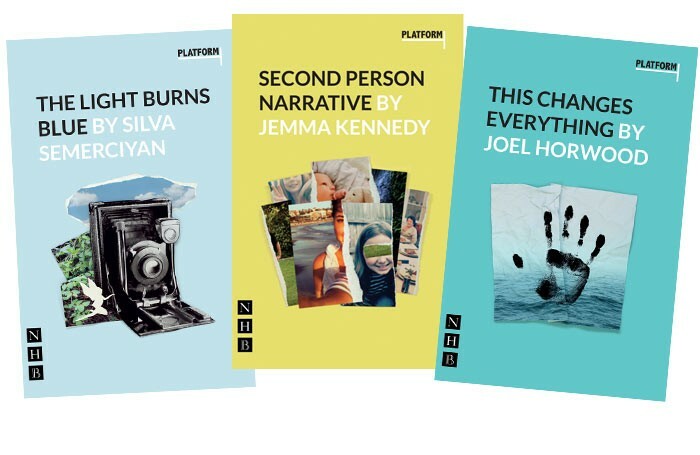 I am thrilled by the challenging, sophisticated, funny, surprising, robust and highly accomplished scripts the writers of the first three Platform plays have responded with. As artistic works alone they stand up entirely. The fact that they are underpinned by a political agenda which argues that all young people deserve the best, regardless of their gender, makes me ready to burst with pride. Now, with the obligatory further rounds of fundraising, I look forward to Tonic being able to commission another three writers, then another three, and another three, and so on, so that over time we are creating a whole new canon of exceptional writing for young people, one that gives young women a role in drama that arguably they have never had before. Both Tonic and Nick Hern Books want to see as many groups perform the Platform plays as possible. That’s why we’re making scripts available for £3 per copy (rather than the RRP £8.99) if purchased via www.tonictheatre-platform.co.uk by schools, colleges, university drama societies, drama schools, youth theatre groups, youth arts organisations, and amateur dramatic or professional theatre organisations that work with young people. Nick Hern Books is also offering a special reduced rate on amateur performance licences. We’re encouraging groups to play by the rules and buy scripts (rather than photocopy them) and acquire amateur licences (rather than perform without permission), because all funds that come to Tonic through our book sales and amateur performance licences will go directly back into the commissioning pot so that we can add more plays into the Platform series. Of course, let’s keep writing and performing those brilliant male-heavy plays. But let’s have plays for girls and about girls too. We owe it to them to treat them with a greater level of fairness and respect than, I fear, the system has previously done. But also if, as gets referred to week after week in the pages of The Stage, we’re all serious about making progress in terms of the gender balance of our professional repertoires and workforces, we must look at the foundations we’re laying for tomorrow’s generations of theatremakers and audiences. If we are to properly change the culture, youth drama – as much as the biggest theatres in the country – is where we most need to focus our energies.